I have been working on festival plans today, and specifically on the world premiere. Cannes is looming and it would be great to get into competition there and give them the world premiere. I have been reliably informed that if we have already done French subtitles, that will work in our favour – and so today, I have been figuring out how to get subtitles onto a DVD. It’s actually not too hard. The production values are super high, it looks and sounds beautiful. The story was well honed and crafted so that twice during this short I caught my breath and had to totally re-evaluate what I had been expecting to happen. It’s delicious when that happens and a real testament to a well thought through plot. I am totally delighted with how the film turned out. It got a standing ovation and everyone smiled and laughed all night long at the party, the feelgood factor from the film was so infectious. I would love to see more people raising the bar on short films to make them as good as this. Saturday 12 January 2008 was a day to remember. 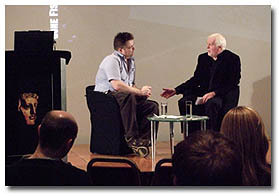 The seminar should be saved as a template for all future film making seminars. That was "The" Seminar... Save it!!! Nothing but the love of movies could have prepared us better for such a magnificent premiere of a well crafted story in pictures, sound and music on to the silver screen – all in ten minutes, a showing that was so complete, it felt like it was the viewing of a full-length feature. With the benefit of persistence of vision, I declare, it was a complete success. And thanks to your hard work Chris, you made it all happen. 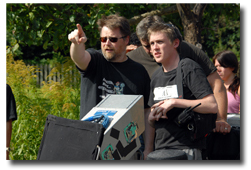 Chris, many Thanks for what you are doing for the U.K Filmmakers. You make me believe that I can do it! So it is stop procrastinating and I have been planning for some time. "Gone Fishing" is a story well told, with a Superb Cast. Cinematic! Emotional! Captivating! The film was great - we wanted more!! Me and my friend were really impressed at the way you told the story in such a minimal way yet on such a big scale - if that makes sense?! It felt like we'd watched a much longer movie by how engaged we were with the characters / story. Congratulations! What a journey you have been on. The standing ovation you received last night was a sign of the support you have from a huge number of industry colleagues and companies who believe that the talent and spirit you demonstrate in your film making is passionate and unstoppable. Although I played a very small part in the making of “Gone Fishing,” I was very proud to be sat in BAFTA being blown away by the superb surround mix that Andrew Stirk created at Videosonics. I hope that you will consider that this film is just a stepping stone on the way to greater things and I hope that you remain as focused as you have always been in your hunger for great movies. I will always find it a great inspiration and honour to be working with you on any of your projects. I've always felt that the film industry needs people to push it along. To keep the standards high and to keep the quality coming. Last night's screening of "Gone Fishing" was for me the archetype example of how the bar SHOULD be raised: how striving for quality yields results far greater than anticipated. The whole is more than the sum of it's parts type deal. An Epic journey, with dividends for all involved way above our collective expectations. 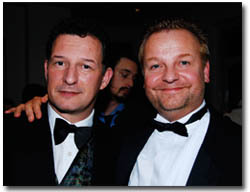 A short film to watch for a BAFTA and Oscar 2009! Thanks for a wonderful Saturday - I am sure this event was one that none of us will forget in a hurry, least of all you!! I woke up yesterday and wondered if I had dreamt the whole thing but fortunately not. This was even without seeing the film that was equally wonderful. It managed to evoke so many different emotions and crossed a myriad of genres (tradgedy, comedy, action, horror, epic etc) in a relatively short space of time. I remember laughing heartily and then suddenly being brought close to tears. The emotive performances of Bill and Lynn were juxtaposed impressively by the youthful playfulness of Devon and James. Each scene shared something different and sometimes it felt like there was a removal of the fourth wall and that we were witnessing something private. This is a truly remarkable feat especially for a short film. I am a firm believer that this film will do well and if it wins the Oscar for Best Film Short then this will be well deserved. The night was a great success, and it makes you realise the sheer number of individuals involved (especially as I guess not everyone was there). Sophie, my fiancée had a great time, and really enjoyed the film. She was particularly impressed with the sound (and music) and quality of the picture - it does look beautiful. For me, the one shot that really stands out is that initial shot just before the opening credits tracking back from Old Bill surrounded by photographs - very powerful. We also met your mother, which was a great honour, and she was, of course, extremely proud of you and your latest film. So I wish you all the best with your bid for the festivals, and of course, the Oscars! 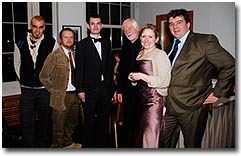 I have uploaded most of the photos that I have received from people who attended the ‘Gone Fishing’ premiere last weekend. They are in a Flckr account, which after some trawling, I decided was the best way to do it (if anyone knows a better online free photo share site, let me know). The pics really do bring it all back and there are lots of great shots. You can view as a slideshow, view high res and order prints by clicking here. If any more pictures get sent to me, I will upload them too. I didn’t include all the pix I received as some were very low quality and taken with camera phones. As we had so many great shots, I figured let’s stick with quality and not upload hundreds. Thanks for sending so many great shots on for all of us to share. The Big Night Finally Arrives! After a long, hard, but immensely rewarding day running the seminar on ‘Gone Fishing’, the time had come to get changed into my DJ and prepare for the premiere. We had been very worried about numbers as we had invited nearly 300 people to the event, all of whom had said they would come, and the theatre has only 228 seats! As it turned out, around 210 people arrived, so that worked out fine. AND THE ATMOSPHERE WAS ELECTRIC! I was personally delighted that so many people made a real effort to get dressed up for the event, and those who didn’t, I know came from some filming work and did not have the chance to get changed. To make such an effort made the event extra special and memorable. The lights dimmed and we showed the trailer from Kodak, one of our major and very generous sponsors. The lights came up and I climbed the steps to the stage and was hit by a deafening wall of cheers! I was quite unprepared for that level of encouragement and quite humbled. For a moment I paused, a tear in my eye, a frog in my throat, but I pulled it back together… I had a speech to deliver, even though right now, it was a piece of paper shaking in my hand! I won’t go through my speech, you can click on the video link of the while event below if you want to hear it again, but I must mention two enormous gaffs! Both happened because I wrote my speech at 11.30 the night before, and used the end roller to make sure I didn’t forget anyone. As it happens I did forget two very important people, who were not on the end roller as they were on the single title cards. First was Russ Wharton, visual effects guru – I don’t really need to say much more as you have seen the movie and know just how amazing his work is. 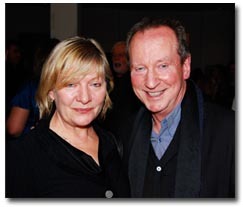 But I was particularly mortified to realise, as soon as I saw her after the screening, that I neglected to acknowledge my very good friend who I have known for years, Catherine Arton, our casting director. Catherine put in more work than any other single crew member on Gone Fishing, working tirelessly for months to find the right cast, working with sometimes very difficult agents, with no budget, in fact spending her own money! 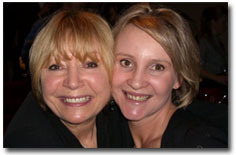 So Cathy, I am sorry, you know you are a superstar and that this film could not have been made without you! The lights dimmed… The curtains opened… The movie played. I am delighted to report that the audience reacted in the way we hoped. They laughed. They cried. They wanted more. To see the movie projected was awesome. It simply looked jaw dropping. All Vernon’s hard work (and the camera team, the Labs and Midnight Transfer) really paid off. The sound I think is what most people were surprised by though, just how BIG it was, much like a huge action movie! Thats all down to Ro Heap’s on set sound, Eddie’s editing and Videosonics mixing, all of which was first rate. Then came the moment I was truly unprepared for. As the lights came up, I got a standing ovation! I don’t know how long it lasted, but it seemed to go on for ages. So much so I began to feel very self conscious. When you spend all your time shining the light on others great talents, when the spotlight hits you unsuspectingly, it kind of takes you by surprise. I was very humbled, and hope that we can all share that the standing ovation – it was really an outpouring of emotion for us all. This movie belongs to everyone involved. Form that moment, it’s all a bit of an adrenaline haze! I was floating on air. The after screening party was great, with photos of the shoot up on the plasma screens, a glass in everyones hand and a smile, hug and kiss from everyone I met. For me, that moment is why I strive to make movies that reach out and touch people. It’s the pinnacle of the craft and artform that I aspire toward. It’s what drives me. My final thoughts? For me, this premiere will be remembered forever. It goes down as one of the top ten moments of my life so far, and it’s quite near the top too. 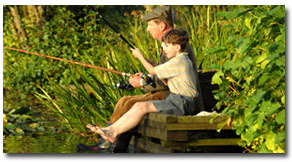 On a personal note, some of you may know I lost my father a year or so before ‘Gone Fishing’. If there is a place we go to after we die, I suspect my Dad popped back down to BAFTA for the night, and I know he would have been very proud. Finally, if you have not watched it yet, watch the premiere video here, complete with speech and after party clips. Thanks to Matt and Steve for shooting this, when you really should have been in a seat enjoying like everyone else. What a day Saturday was, the ‘Gone Fishing’ Seminar and World Premiere. I am going to write about the seminar today and premiere tomorrow. I had been thinking about the seminar from before I made Gone Fishing, and so collated all the important document and materials. I thought the course would be a nuts and bolts course about production and getting deals, but as time wore on, I realised a much more valuable course was possible in the ‘creative journey’ that we all go on during a film. 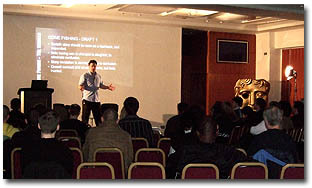 Accordingly, over the few days before the seminar I began ordering my thoughts in a Powerpoint Presentation, bouncing ideas of other people involved, especially editor Eddie Hamilton. About 60 people arrived bright and early Saturday morning – and we even had people fly in from Ireland, Spain, Germany, France, even Los Angeles, just for this seminar and premiere! During the morning, we worked our way through several drafts of the script, getting feedback as we went. What was interesting is that most people were providing the same script feedback that we got during script development. Mid morning, casting director Catherine Arton came on stage and shared with us all, her knowledge of how casting a film like this can work. Then we read some more drafts and got a bit more intimate with the story. Everyone was in broad agreement that the extensive script development was improving the story no end. I even spoke to some guests who shared with me that they could now see clearly why their last short film had not worked as well as it could have, as they didn’t develop the script enough. It just wasn’t ready for them to shoot. In the afternoon we worked through the storyboards, and also invited cinematographer Vernon Layton to the stage for a chat. As usual, Vernon was tremendously entertaining and insightful, and getting access to a DP of his experience and creative ability is worth its weight in gold. 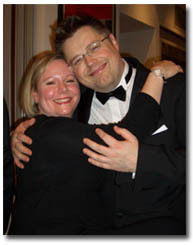 What shone through for me with Vernon was the passion to create something that really touches people’s hearts. His love of the art is infectious and it felt like a breath of fresh air. Today I have received an enormous amount of emails from people who also felt inspired by Vern’s passion and energy. It’s great that people at the top of their game are prepared to share their knowledge so openly. Thank you Vern! We then watched some edits of the film, showing how it goes from first assembly, through effectively more script development but now in post production, through refinement and recrafting. Editor Eddie Hamilton stormed the stage with his usual laser like insight and overwhelming energy. Eddie is directly responsible for so much that is terrific about this film, and to hear him talk was wonderful. I think the editorial journey we went on was as revealing as the script development for the group. Senior colourist John Claude from Midnight Transfer also cam up on stage to talk us through the colour grading for Gone Fishing, and JC (as he is known) is one of the reasons why Vernons amazing cinematography looked so polished and consistent. JC made the very salient point that some directors (especially new ones) often go into the grade and try to go crazy with all the powerful tools available, but that part of his job is to reign it all in so that at the end, the movie is consistent and hasn’t gone too far that the film would inevitably be re-graded later. A powerful lesson for us all there. We managed to film the whole seminar too, so that we can make it available in some way in the future, and I would like to thank the camera team of Steve Brooke Smith, Sylvie Bolioli and Matt Moreale for manning the cameras all day and helping commit this course to tape. 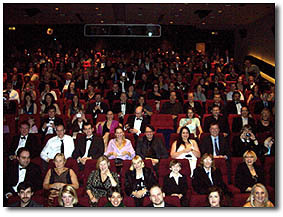 After the seminar ended, there was a dash for the loos as everyone changed into their evening wear for the premiere. It was quite entertaining and very much in the spirit of the movie, stood in the loos with ten other associate producers, while changing your trousers and giggling like excited kids! Less than one hour to the premiere and…I will report on that tomorrow! You shared a vision with us, asked for our money and made us a promise. Yesterday that promise was delivered - in both the masterclass and the film. Thank you for the chance to be involved. I feel privileged to have been part of the process. You may be interested to see the review I posted on my blog. An Epic journey, with dividends for all involved way above our collective expectations. 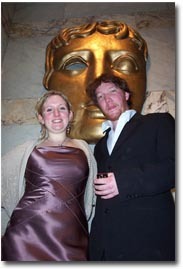 A short film to watch for a BAFTA and Oscar 2009 ! The concept, the viral call, the blog culminating in the transparent and wonderful premiere. An undertaking that you should truly be proud of. Truly inspirational and educational. We see a lot of people presenting, in both the academic and real/business words, and it is rare to find someone who can present all day, without notes, without repeating himself, and continually engage the attention of the audience. I know it is no mean feat, so well done. Just wanted to say thank you so much for the experience of 'Gone Fishing'. I have never heard someone talk so clearly and directly about a career path in film as you did yesterday and as a recent film graduate working in retail to support my film aspirations that was pretty amazing for me. I have been to a lot of seminars - mostly creative writing - and I usually learn something from them, but not much these days. Your seminar was an exception. I learned LOADS. I took in so much information yesterday that I am feeling rather dazed today. That dazed feeling is, I know, the result of my subconscious mind working away to process what I took in. Too early yet to say what will emerge, but I have no doubt that something will. Something good. I particularly appreciated the way you structured it - leading us along the same creative journey and ending up with the premier in the evening. A unique experience. I got a lot from listening to different people who had been involved in the process. It gave different views on the same thing. A kind of triangulation that helped me to see it in a three dimensional way. Ever since hearing about your project, I have felt inspired by the approach that you took - getting it funded in that way - your proceeding as if the money was already there, the strength of your vision that was self-fulfilling. The seminar yesterday reinforced that impression and helped to flesh it out into a whole picture for me. 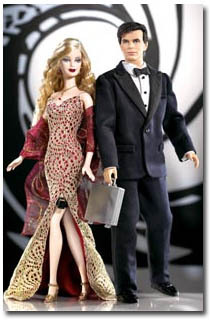 As for the premier - this was the amazing thing. Having gone through that creative journey, seen the various stages, seen the film in different forms so many times, surely the thing on the screen in the premier would not feel fresh. But it did feel fresh. The story took me in once again. I laughed. I cried. What more can be asked from any story in any form? It is a really special film. There are many many more kind words that I will distil and post in due course. As I promised today, the day after the premiere for Gone Fishing, is that of lying down, snoozing and pizza. I am really extraordinarly tired. I will be reporting on the seminar and premiere over the next few days, with photos and hopefully a video too. Never mind onward and upward, now it's stay still and horizontal! (just for one day of course). It’s 6.30am as I write this and ahead of me lies a whole day seminar on the making of Fishing, followed by the world premiere at BAFTA. I can’t tell you how many things could go wrong… but I am trusting in my own experience and the experience of the very talented people who are helping me out through the day, to ensure the whole event goes smoothly. I know it will. 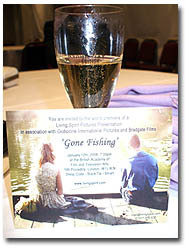 The last few days have been a whirlwind of preparations for both the seminar and premiere of Gone Fishing on Saturday. Believe it or not, with only two days to go, the film is not yet complete! Right now, it is being de-spotted by Tom, at Midnight Transfer. We shot on Gone Fishing on film, and film is a mechanical process where occasional flecks of dirt can find their way onto the image. The process of de-spotting paints out these minor blemishes. It’s not a terribly hard process most of the time (outside of major negative damage), BUT it’s really painstaking… So a moment to consider Tom as he does this essential but often un-thanked task to deliver to us all, an image that is superb. So thank you Tom, we all appreciate your excellence and hard work! My printer is running 24 hours now, in an attempt to print everything out for Saturdays seminar. It’s all going well and everything is on schedule, but like a movie, there really is a huge amount to do! I have three long To Do Lists with all manner of things on them. We are planning to video record the whole seminar which will make it available in the future on DVD – all eight hours we hope. We also hope to include interviews on Saturday with a few key crew members to explain how they tackled the problems they faced. 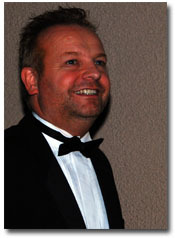 Tonight I will be going out to get my Dinner Jacket sorted. Those of you who know me will fully appreciate how much horror this fills me with. I rarely get dressed up, let alone go into a shop for a fitting! Blimey! Still it’ll be worth it. Stop Press – I just spoke to Tom at Midnight Transfer and he confirmed that he has just completed the de-spotting… So with one working day left before the premiere, we still need to master the film onto HDCamSR tape for the premiere, both picture and sound… Goodness, you need nerves of steel for this! STOP PRESS AGAIN! I just managed to buy a whole dinner suit, on offer, from M&S, for just £74 – Jacket, shirt, trousers and of course, dickie bow! Not a bad investment. 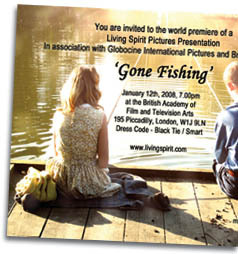 Welcome to the Gone Fishing Premiere and Seminar, January 12th, 2007 at BAFTA, 195 Piccadilly (map and directions here). It is a few minutes walk from Piccadilly Circus tube. The seminar will begin at 9am sharp, so if you want coffee before hand, please get here early. We do not plan to serve tea and coffee throughout the day but there are lots of coffee shops right on BAFTA’s doorstep. There will be a break mid morning, and one mid afternoon, with a short break for lunch. The seminar will conclude around 5.30 and the Premiere will kick off at 7.00 – so please think about how you will get changed and grab some food before the premier. As glamorous as it is, some of us will resort to getting changed in the bathrooms of BAFTA (myself included). Ah the film business. The Premiere will conclude at 11pm. During the event there will be a cash bar. Dress code for the seminar is casual, and for the premiere it is posh frocks and black tie (though that is not mandatory, so if you don’t want to get dressed up, that’s OK too.) 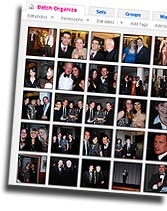 just a hint, if you are a film maker, this is a chance to get your photo ‘looking like a director at a premiere…’ which can be used in PR. It’s an opportunity. Tickets for the premiere will be collected on the day and names will be on the door for all guests, so please don’t expect any tickets to arrive ion the post. I have crafted a really unique seminar that will take you fully on the creative and financial journey while making this film. My goal is to have you feel like you were directly involved in the making of the film, so that you can experience the triumphs and failures in such a way that you will own rather than observe ‘the experience’. Almost like you made the film but didn’t have to go through the hell of actually making it. That experience will then be yours that you can draw upon when you come to your next project. And remember – THERE ARE NO RIGHT OR WRONG ANSWERS.. I look forward to an excellent day and truly amazing evening! Premiere Tickets Off To The Printers! I have just sent off the premiere invites to the printers, and hope to get them back before Xmas. We have all sorts of stuff planned for the evening, and I just hope we have the time and energy to get it all done! It’s staggering how much is involved. All the technical completion elements are also falling into place now, with the picture grade scheduled for Thursday and Friday at Midnight Transfer – I am just waiting for final confirmation. Some of the ‘Gone Fishing’ contributors will be sitting in on this grade, as well as crew, including DOP Vernon Layton and VFX whiz Russ Wharton. This means we will see Russ’ work up in the big screen at last. I will be getting the final matte painting for one of the wide establishing shots today, and immediately sending up to Russ via YouSendIt! in the hope that he can composite it into the shot by Thursday and bring it with him to the grade. That would mean all the visual effects will be complete by then and can be dropped in place – perhaps we can actually complete ALL the picture elements before Christmas. Splendid! I also need to complete the final credits and make a huge Photoshop file for animating in After Effects. It never ends! Today I am working on the premiere (set for Jan 12th 2008). 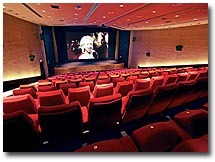 I just made a call to BAFTA to check everything is OK – and they have, believe it or not, double booked the theatre! It’s a good job my spidey senses were tingling on this, and I rang to double, sorry no, triple check it was all OK. So now we may be moving the venue! We hope we can get this resolved, and frankly, I believe we will. So fingers crossed that it all stays put at BAFTA. 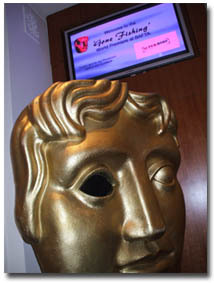 We will be printing tickets in the next few days too, but of course, we can’t send them off until we get it in concrete about BAFTA. And with Xmas looming, I thinkn its going to evolve into a ‘collect your tickets on the door’ situation. The logistics of a premier are quite enormous. Effectively, we are going to be making 200 phone calls, with a big spreadsheet, confirming by email, making sure everyone knows times, addresses, nearest tubes and dress code. It’s as much work as small film in of itself. Add to that, the one day seminar we are holding before the premiere, and you can see its going to be a full on day. Blimey. I will be building the entire course content over the Xmas break and I am looking forward to that, sifting through all the old paperwork and organising it. Blimey. Nothing is ever easy, or goes smoothly. OK update, Monday 11.45 – Producer Ivan Clements has spoken to BAFTA and an agreement has been made, so the premiere is back on! Hoorah! During the shoot of Gone Fishing, Ivan became known in the production team as The Ivanator! And he is certainly back! World Premiere Date and Venue Set! Great great news! Producer Ivan Clements has managed to get BAFTA for our World Premiere for Gone Fishing, and also for the one day seminar about how we made the film. So that means if you have the £100 film makers package, you can come to the one day seminar at BAFTA, then come to the premiere in the evening! We also got an Ad in the BAFTA magazine, and here is the text below. If you know anyone who would like to attend this one day seminar and then come to the world premiere, please let them know as seating is limited…All other people who chose to contribute will be welcome at the premiere. 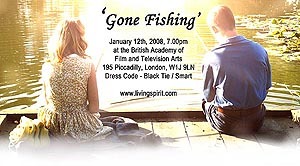 From concept, to script, to production, to edit and finally, to premiere – a one day seminar at BAFTA , culminating in the black tie and posh frock world premiere of the 35mm short film, ‘Gone Fishing’. 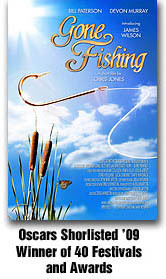 Directed by Guerilla Film Makers Handbook author Chris Jones, Gone Fishing is a moving and powerful 35mm short film, financed entirely by voluntary contributions. 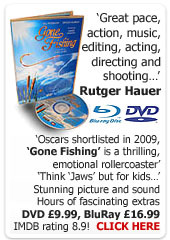 Starring Bill Paterson (Miss Potter), Devon Murray (Harry Potter) and introducing young James Wilson, Gone Fishing is the touching tale of an old man as he tells the tale of how he caught the worlds biggest pike, Goliath… think Jaws, but for kids. 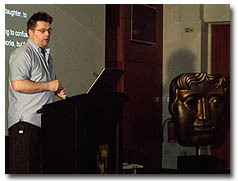 This one day seminar, to be held at BAFTA on January 12th, will cover all aspects of production, taking attendees on both the creative and financial journey as this project evolved into the movie that will premiere that very evening! 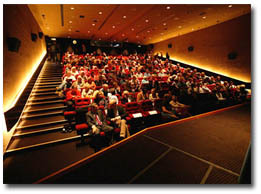 Attendees will receive unparalleled access to all production notes, documents, schedules, budgets and story boards etc. This is a terrific opportunity for any new film maker to learn how the film was made, go on the creative journey, and attend the world premiere at London’s most prestigious film venue, ALL IN ONE DAY! Places cost £100 and all proceeds will be used to offset production costs, or used to promote the film in a bid for major awards on the festival circuit.